Spiritual union, as it’s being discussed here, is the experience of uniting with oneself, which ultimately means uniting with the divinity within. Of course, there are many spiritual traditions that teach methods and practices for reaching spiritual union. There are practices such as meditation, yoga, selfless service, and devotional chanting that can facilitate removing the obstacles that can get in the way of realizing our divinity. Of course, our divinity is always there; our task is removing the clouds that get in the way of seeing the sun. 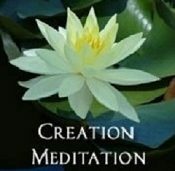 Creation Meditation is a practice that facilitates spiritual union. If one were to commit to this practice, spiritual union can take place. And it requires both the masculine and feminine parts of oneself. The masculine represents reason, stability, structure, and governing. We recognize this image as Christ, who possesses the great heart of the World. And so this image is meant to provide the feelings of both being held with reason, structure, and stability along with Love, along with the emanations of the heart. If you look into the eyes of Christ in this image, you see that there is a deep knowing. There is a loving reverence for all that is and all that ever will be. There is Love. Christ’s eyes also seem to be calling us forward into Him, inviting us into his deep knowing, or at least, calling our deep knowing forward in us. The masculine in us can create the structure and stability that is required for spiritual practice. There must be a structure – a time and place – to practice. There must be consistency and stability so that the practice becomes a solid foundation in one’s life. Similarly, there is the feminine. She represents fertility, mothering, abundance. She gives forth fruit, multiplicity, wealth, and all the 10,000 things. She is the creative imagination itself. She is life in all its diversity. She is all the ways that reality is showing up in our lives at this time. She is the mother. She is a creatress, the full bloom of the flower. She is a giver, a provider, a nurturer. She is sensual, magnetic, and beautiful. The Masculine qualities combined with Love and with the Feminine quality of receptivity allow for Creation to emerge through us. To create deeply, to allow a river of loving emanations from the heart, structure must be in place. Just as the wind howls through the canyon and the flow of the river rushes along the riverbed, a structure supports the flow of Life to pass through effortlessly. Creation Meditation is a practice that requires both masculine and feminine inner qualities. In fact, this practice is one that can facilitate spiritual union in many ways. First, by meditating at the same time and place regularly the mind can begin to open, and with an open mind, there is more inner receptivity for what is arising from within. Second, through creativity, by giving outer expression to the inner experience, the fountain of creativity can experienced. In this practice, there are many ways to experience spiritual union. In fact, the practice itself is uniting. 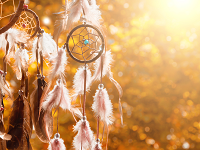 Making creativity a spiritual practice invites the union of inner and outer, known and unknown, conscious and unconscious, masculine and feminine. Spiritual union is possible with spiritual practice. Little by little anyone can realize the great divine presence they possess within.